After having such good luck with the Adata SU650 SSD drive, I decided to try out their SU800 model and see how it does. This will be going in a new Ryzen PC build I am doing. While usually I am fine with just a 240GB or 512 GB as a boot drive, with the lower prices of SSD’s lately I decided to use a 1TB SSD drive. Disclaimer: This site uses affiliate links. This means I may make a small amount of money at no cost to you if you buy something after clicking a link on this site. I also use google ads in which I can get paid a small amount if you click on an advertisement. I will try not to clutter up the pages and wont use any pop-ups or “Next Page” ad bait. Sorry for the inconvenience, but it is used to help pay for the cost of hosting this blog. Thanks for your support! The packaging was about the same as the Adata SU650 I bought with the exception that they did not include an insert this time. You just get a box with the hard drive in it and it arrived in a padded envelope. For reference this is the link and model number I received ASU800SS-1TT from amazon which was on sale at the time and included free same day shipping for Prime members. 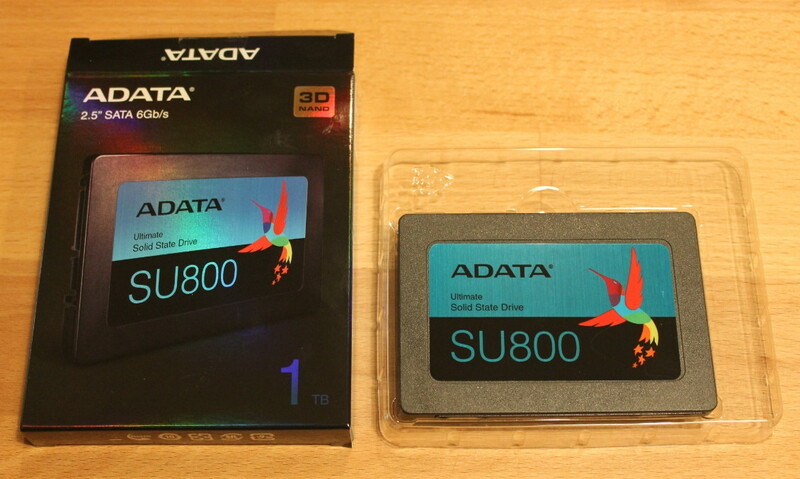 Adata SU800 1TB Ultimate 3D Nand SSD drive packaging. Not really much to it for packaging. I guess its good to help the environment by not including a paper manual that would probably just be thrown away. The box did have a QR code on it to scan that took me to the Adata.com website for the drive. Here are some specs I found on their data sheets and website for the Adata SU800 that I like to look at when purchasing an SSD drive, and a few thoughts that include my understanding of SSD specs. 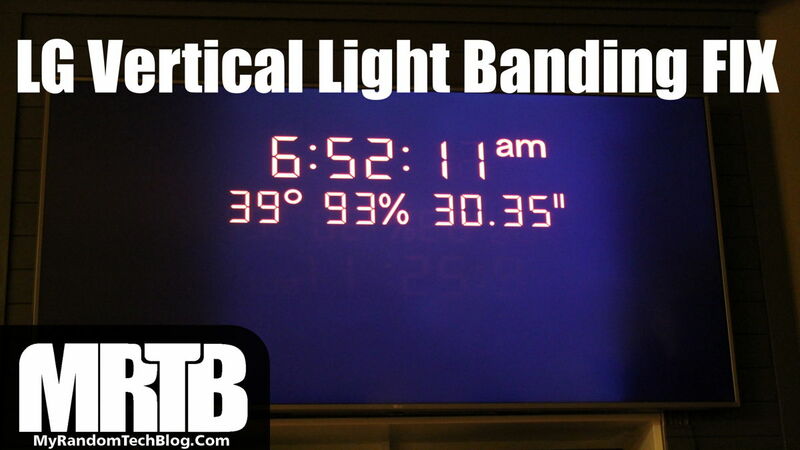 MTBF: 2,000,000 hours (Mean time between failure ~325 years if I just did the math right. But I read a more accurate way to do this would be to take something like a 1,000 drives and if you ran them 24 hours a day = 24,000 hrs, then divide by your MTBF and you get a failure every 83.3 days.) Not sure if all manufacturers test under the same conditions (temp, load, environment etc..). Anyways its a large number and I have yet to have a 2.5″ SSD fail on me yet. Maybe I am just lucky. TBW : 800TB* ( Tera Bytes Written *for the 1TB model I am reviewing) This is another large number that I will probably never reach on this PC I am building. NAND Flash : 3D TLC (Triple Level cell) My understanding of this would be in cost and reliability 3D Nand types would be ranked in order as SLC, MLC, TLC and QLC . With Single level Cell (SLC) being the most expensive and most reliable (Enterprise level harddrives). They do include some free software when you buy their drives that you can download from the website. I only downloaded the SSD toolbox software as this was going to be a new install of windows and not a migration. One feature of the SSD Toolbox software is that they included a section for firmware updates for the SSD. As a matter of fact I saw there was a newer firmware available for my SU800 (Q0922FS). I checked the release notes and did not see mention of performance improvements, and it looks like just compatibility optimization. Not sure if I will load it as my drive is working great so far. First thing I did was to set the drive to use GPT (GUID partition table) and then format as NTFS. Then I hooked it up to my motherboard for testing. For reference the motherboard I tested it on is a Asus PRIME Z270-A. Here is the info from Crystal Disk info when running it on the Adata SU800 1TB SDD. One thing to note is that it shows the power on count as 5. This was the first time I turned it on, so assume the others were for testing. Here are the results for my speed test benchmarks using Crystal Disk Mark. I have to say I am pretty impressed. This is the fasted 2.5″ SSD I have tested so far. 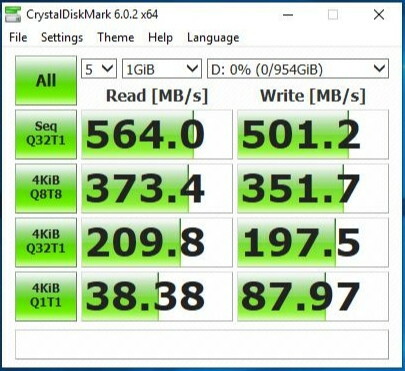 Adata SU800 1TB Ultimate SSD speed results. The speed results for the Adata SU800 1TB 3D Nand ULTIMATE SSD were REALLY good. As I mentioned above the fasted SSD drive I have tested so far. Plus the price point for this drive is great. While normally I use a 512GB drive, the price was so good I decided to jump up to the 1TB size. I guess that’s just a sign of the times as prices drop as new larger drives are coming out. 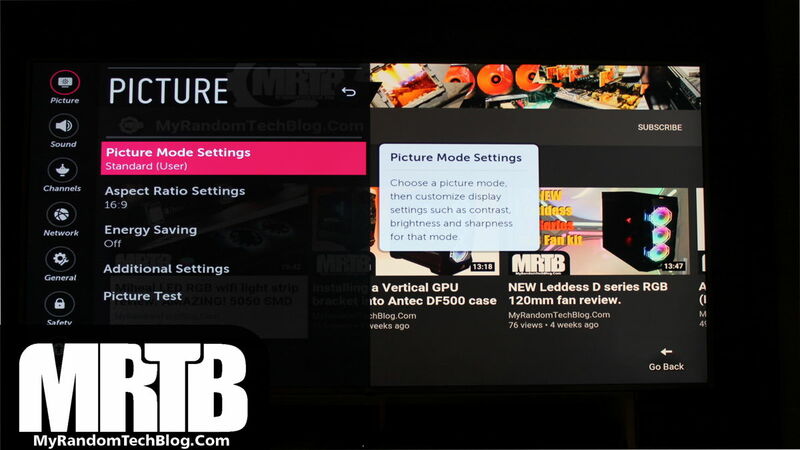 For reference here is the LINK to my Adata SU650 review if you want to see those speed tests. If you are still using a mechanical platter hard drive for your boot drive your really missing out. The main advantage of going with an SSD is SPEED. They are just so much faster its amazing. Also another great advantage is power usage. 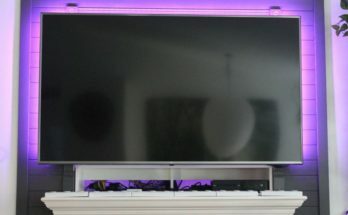 They use a lot less then a mechanical drive which can really help save on battery life.